Prevention of data intrusion attempts that result in data leaks is the most vital objective of any organization’s security strategy. According to some reliable studies, eight out of ten hackers can break into a system within less than sixty seconds. This sounds extremely uncomfortable because a cyber attack is similar to cancer that spreads to cover the entire system. Web Application Firewall is a modern avatar of traditional firewall measures adopted by security conscious enterprises. It is necessary to upgrade legacy firewall tools because the modern hackers are in possession of technologically advanced hacking tools that can penetrate traditional measures to prevent intrusion. Familiarity with various aspects of organizational data is a primary need to develop consciousness about security of the digital assets of an organization. One must have an in-depth knowledge about company’s data in terms of different levels of security requirements as a sensitive data will need to be backed by tougher security measures and so forth. Similarly, location of data also plays vital role since there are multiple locations that could be assigned with job of data storage. These locations are network terminals, servers, and storage disks to name a few. Locations of data storage must be classified on the basis of security needs of the stored data because if you are dealing with highly sensitive user login credentials such as passwords, account information, and even personal health information, then such data will carry the highest risk of being attacked. Naturally, your entire focus will have to be on this type of data while creating security infrastructures. Knowledge about data in terms of sensitivity and locations comes handy at the time of assigning roles, permissions, and fixing vulnerabilities in a given system. Concerned staff must be careful while managing locations of critically important data and should frequently upgrade server infrastructures for enhanced security of mission critical data. There have been several instances of crimes related to industrial spying because some personnel are prepared to steal ad sell classified information for monetary benefits. Unless you have assigned permissions to right individuals, your sensitive data will be always exposed to wrong individuals who may secretly share it with outsiders. Assigning permissions and responsibilities to trusted employees can be a logical approach. This can also include multi-factor-authentication, frequent password changes, and regular security audit. You can also disable internet access and use of thumb drives in case of general population of employees so that data theft can be prevented. Modern organizations are found to train their staff as far as security awareness is concerned. The most vital phase that makes data highly vulnerable to intrusion by cyber criminals is the transmission phase. Similarly, your data can also be hacked easily while it is being generated especially if the same is not protected by way of data encryption. Hackers can adopt a wide array of attacks including phishing, DDoS attack, intruding, or hijacking to get hold on the sensitive information. Data leak can jeopardize your business operations or hacker’s demand for a ransom can shatter you financially. 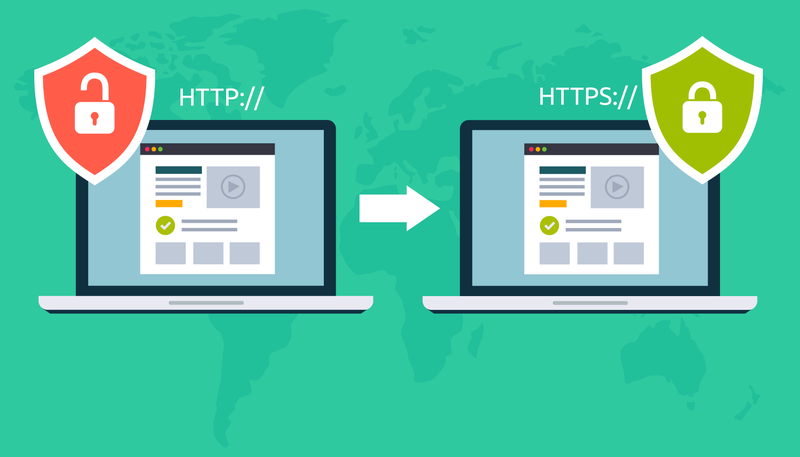 Https and App Transport Security are some of the most commonly implemented security standards. It is recommended to provide a secure environment in order to protect data at every stage including its generation, transmission, and reception. Knowledge about industry specific attacks can be very important for anticipating the type of threats to gain immunity against these. In addition to this, one must be prepared to deal with a large spectrum of web attacks that could be in the form of SQL injection, credential stuffing, and phishing among others. There is no use of deploying a long list of security products because security requirements of every enterprise are not similar. This calls for a tailor-made strategy for selection of specific security products. You may leverage services of security consultants to understand nature and type of threats in terms of events and risks that would be most probably encountered by your site. Postponement of addressing vulnerabilities that are identified as serious threats can be extremely dangerous and a large population of websites are found to put off important security decisions. Such delays can result in serious consequences. Every security minded organization must have systems in place that consistently deliver vulnerability scans in addition to seamless monitoring of applications with timely patching and upgrading. Sometimes, vulnerability could be of serious nature as far as safety of important data is concerned unless one takes action immediately. This calls for a no compromise attitude while dealing with vulnerabilities and these must be identified and fixed instantly or as soon as possible. Web Application Firewall guarantees assured defense against a broad array of cyber attacks. Alibaba Cloud has been developed as an ideal security tool for large organizations and commerce portals. This entry was posted in Web Hosting Services and tagged alibaba cloud services, web application firewall, web hosting services on September 12, 2018 by Taniya Arya. Interesting aspect of any technological development is it encompasses and influences all types of users including those who are qualified beneficiaries and also the people with criminal mindset. Internet technology can be an ideal example of this since it is also helping cyber criminals in addition to a vast population of website owners who are located across the globe. 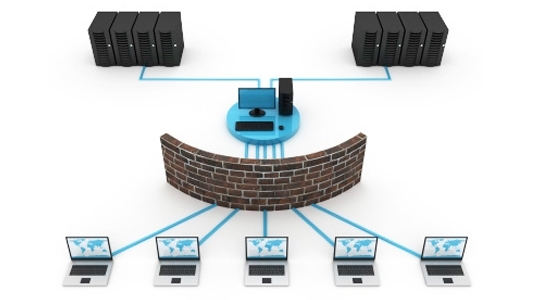 Conventionally, firewalls offered sound protection against cyber attacks. However, as the technology developed, hackers gained access to state of the art hacking tools and amazing capabilities to penetrate legacy firewalls. Most of the modern cyber hacks are deceptive in terms of their initial appearance such as authentic registration requests and so forth. Since these requests are perceived as normal, legacy firewalls allow further processing. Once inside, it is only a matter of a special request made by the cyber criminal to steal sensitive information from your site. Web Application Firewalls evolved in response to the technological prowess gained by modern hackers. WAF is a specially developed defense to protect mission critical data by monitoring the network traffic to ward off suspicious intruders from gaining entry inside the sanctum sanctorum of your web venture. Web Application Firewalls prevent this from happening by reducing unwarranted exposure of your applications to evil forces of cyber attacks such as DDoS, SQL injection, and many other types of malware attacks. Web Application Firewalls are far more superior to conventional firewalls because these are designed to provide protection to applications with an added security layer. Unlike standard firewalls WAFs need no rewriting of rules time and again and thus promise operational ease. Every time a new threat or intrusion is identified, a Web Application Firewall can be updated with the relevant attack signature. This will make sure that WAF has learned the new patterns of traffic that need to be dealt with. 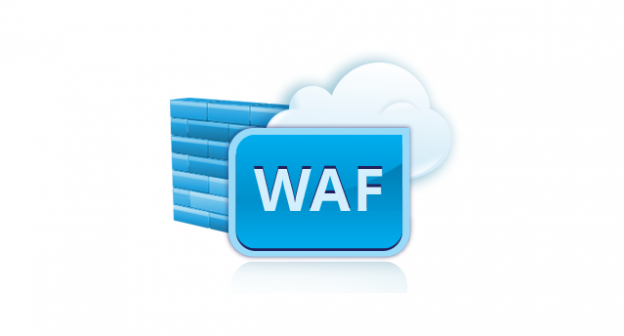 WAF is built to operate more intelligently than its traditional version. Web Application Firewall works at a deeper level by securing applications rather than servers against cyber attacks. This guarantees greater customization of the defense measure according to the individual application that promises far better protection against spoofing attacks, data leaks and any other attack that may be designed to compromise data integrity. Traditionally, firewalls are meant to be one-size-fits-all solutions that leave hardly any room for customization. The list of malicious attacks that can be effectively blocked by Web Application Firewall is highly impressive and includes the most feared varieties such as DDoS or cross site scripts. 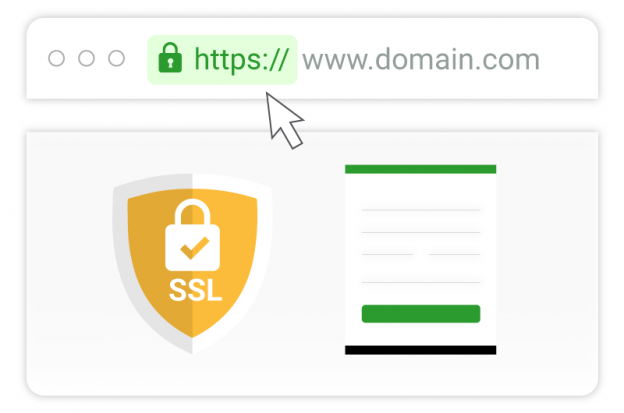 If you are running an ecommerce site, then WAFs can also protect your specific app resources including WordPress and other mission critical applications. In addition to offer excellent customizability, WAFs are also extremely flexible in design thereby allowing users to make changes in settings which can be further automated for a swift response to block attacks of similar nature and profile from identical sources. As the WAF gets matured, the need for manual intervention is progressively minimized. Of course, you will always be in a control to decide what type of web traffic should be allowed or blocked in a WAF protected environment. WAFs are also highly sought after for their ability to automatically protect applications from a wide array of threats providing a broad scope for customization empowered by robust rule sets. The layer 7 security of WAF environment comes with seamless guarantee to defend DDoS attacks. There is a plethora of methods being adopted by hackers to collect data by breaking into seemingly impregnable defenses. It is found that a minor issue of an error message may be a sign of devastating potential of a data hack. 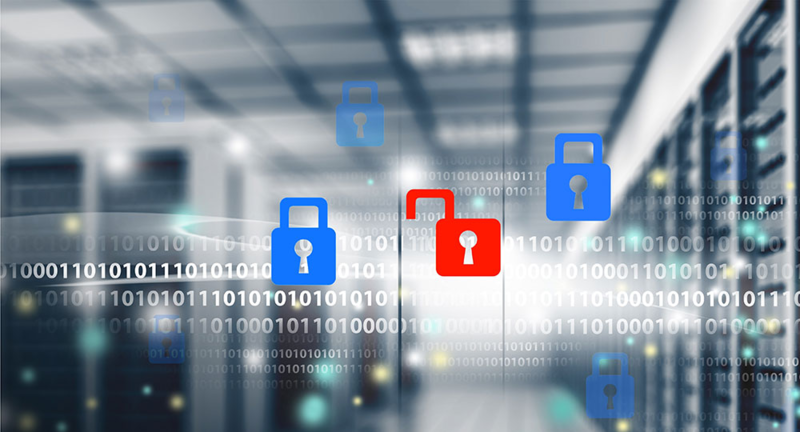 Every type of data leak can snowball into a full-blown disaster especially in case of an ecommerce infrastructure that is built to store critical information regarding online transactions. WAF arrests the data leak by stringently scanning each and every visitor in terms of the requests made while accessing your web applications. Some of the reputed Web Application Firewalls are designed to use built-in data or records of credit card details or social security and other user credentials that are suspicious behavior signatures. This data can always be modified by WAF users by adding specific codes or information. If you are running an ecommerce business or an application that is designed to collect personal details of users, then you owe it to your customers to provide them a secure environment that can guarantee seamless protection of their credentials. Failure to do so will not only jeopardize your business but can also shatter its reputation. Every online business venture must adopt security of Web Application Firewall to make sure that integrity of the important data is never compromised. It certainly pays to acquire WAF protection than exposing your business as well as reputation to street smart hackers. This entry was posted in Web Hosting Services and tagged alibaba cloud, web application firewall, web hosting services on September 1, 2018 by Arijit Mukherjee. The digital age has opened a large spectrum of opportunities for entrepreneurs in terms of online marketing, payment processing, and internet enabled communications such as email. The main focus of all online activities must be aimed at establishing a robust and legitimate identity of business. This brings us to adoption of unique email address which is backed by domain name instead of generic mail address. The process of availing a domain name to create unique email identity is referred to as email hosting. 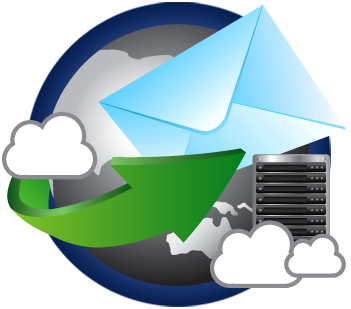 Email hosting can be leveraged to upload digital content. This feature of email hosting is just like web hosting and in other words, enterprises can operate official email accounts that help them build unique identity. If your company is using yahoo or Gmail supported email address, then there is a possibility that your potential clients may not perceive your company to be a professionally managed organization. There is a general feeling that generic email addresses are used by fly by night operators or by companies that may not be serious about services. If you are planning to avail web hosting services from reputed provider, then there is every possibility that email hosting feature is included in the hosting plan. You can also avail independent email hosting option that does not make it mandatory to purchase web hosting plan. The decision to select a particular email service provider or a specific email solution entirely depends on the needs of the organization. It is actually very difficult to select an email service because the common facility of send and/or receive is offered by every service provider. This underlines the significance of studying features of every potential email service provider and understanding the pros and cons of these services. In a nutshell, you need to understand and compare email services in terms of the two main email hosting categories that are discussed below. 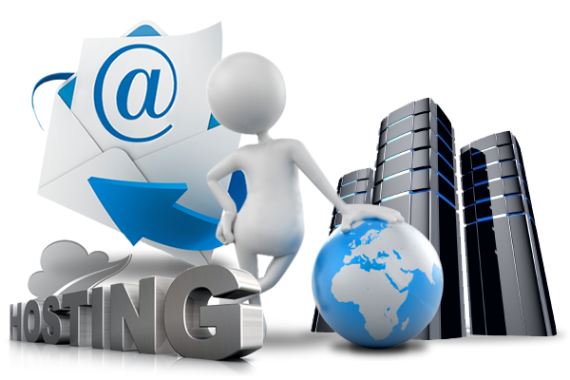 Thus category of email services is commonly encountered in web hosting. Thanks to the competition among hosting service providers, email hosting is usually included in the website hosting package. The quintessential control panel used by almost all web hosts allows a simple and user-friendly email account features. The beauty of cPanel lies in the fact that users can manage web hosting as well as email services from its intuitive panel. The biggest advantage of using these email services is the simplicity and convenience of creating email accounts without any hassles. 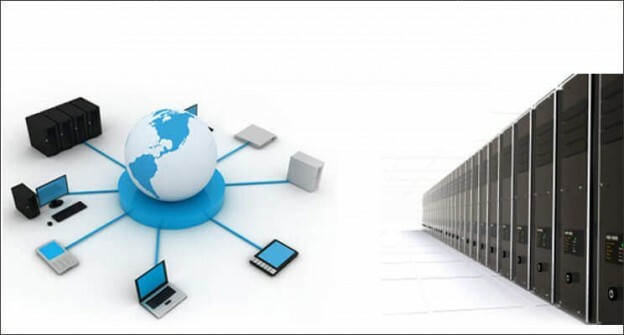 However, in spite of such user friendly attributes and benefits of economy there are few downsides to the hosted services that are essentially provided as add-on offerings. These services will be lacking in couple of important features since the services are not part of core offerings. In the initial phase of web hosting, the add-on email services can be the most attractive feature because the overall requirement of resources is bare minimum. If you are proposing to include large volume of email addresses and thereby need to scale up storage, then this option will miserably fail to support your future plans. In order to make sure that the email solution also grows with you organization, you need to find a dedicated email hosting service provider. As the name suggests, dedicated email platform is designed to facilitate a single user and hence it is packed with a plethora of additional features which are not available in the earlier option we have discussed. The additional attributes of dedicated email service can include calendar management, file sharing, in addition to instant messenger service. In terms of performance also this choice of email service offers far better output as compared with shared mail services that are part of web hosting plans. By adopting a dedicated email service, you can also design a unique email solution that caters to unique needs of your business with help of customization facilities. 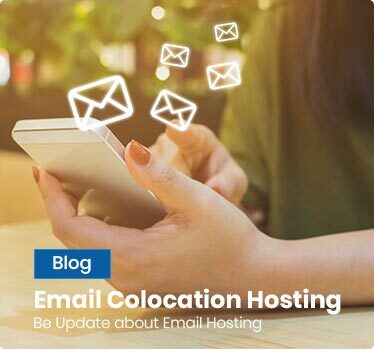 Dedicated email helps businesses build a robust communication platform that delivers scalability and flexibility to accommodate growing needs. Another advantage of these services lies in the continuous monitoring facilities to help large organizations seamlessly handle communication workloads. If you need to have a unified platform to enable resource utilization as well as storage management of your email communications, then a dedicated email platform is the only solution. In terms of cons, a dedicated email service will result in higher expenditure if you are planning to enable a larger user base to avail email access. Secondly, a new enterprise may not have sufficient expertise to manage web hosting services and email services from two different platforms. Large enterprises should adopt dedicated email services because these are capable of serving broad spectrum of communication needs. Startup enterprises are not geared up to handle complexities of managing separate services and therefore a web host enabled email service can be a perfect option. Your website is the external face of your business. For many people, that’s all they know about your company. Therefore a lot of their decision to buy your product/service would depend largely on the experience they encounter on your website. As such, businesses should make all kind of efforts to provide an excellent user experience to visitors of a website. This can be achieved by multiple measures which we will discuss later in this blog, easy navigation being one of them. In their quest for customer, many organizations, invest in paid advertisements and Search Engine Marketing solutions, forgetting to ensure a good user experience to the visitors arriving at their websites. I fail to understand spending precious resources on paid advertisements to bring visitors to a website wherein customers are unable to even understand or locate your products or services. Incompetent & Intricate Designing: No matter how big or small your business is, you need to understand who will be your target audience and how your services are going to address their necessities. Once you have gleaned information about your intended customers, ensure that the design of your website and content is at par with the collected demographics. For example, if you are targeting youth, choosing bright colors, catchy headlines followed by some good images will help in generating interest in them to revisit your website. On the other hand, if you are targeting old age group, try to ensure that it has lager font size, soothing color composition, and simple images. Moreover, don’t mess up with the design and ensure easy navigation for them. Baffling Navigation: Well, it’s obvious that if a visitor is coming to your website he/she is seeking some information, and if that information is not mentioned there or if that is spread across different web pages, then the confusion is obvious. The chances are that they will turn up to your competitor’s website and won’t visit your site again. That’s why it is essential that your landing page clearly expresses about you and your offered services. You can guide users by placing links to your website that indicate how the users can proceed. Moreover, don’t ever place a dead link to your website because when a user clicks on that link and gets directed to non-existing or empty page, then it not only annoys them but also leaves a bad impression about your business. 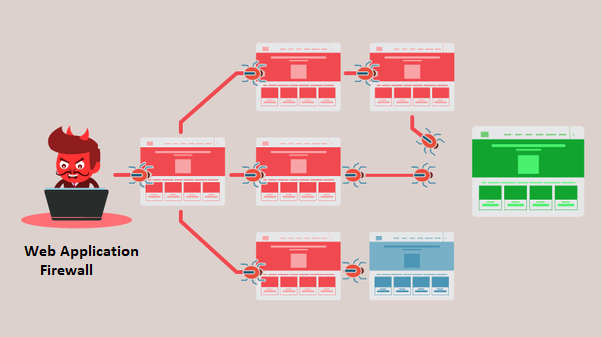 Ensure that your site doesn’t have any such links at all as the experts believe that this is one of the reasons why a website fails to deliver required throughput. Increased Page Loading Time: I have mentioned several time in my blogs that slow website speed not only puts your business out of the search engine rankings, but also raises a question on your credibility. Placing too many images or videos makes your website slow to load. Users do not return to the sites that take more time to load. Abrupt or Unpleasant Call to Action (CTA): According to experts, all web pages of the website should contain a clear call to action. The pages where CTA is not present make users confused about what their next course of action should be. It is recommended never leave your end-users to ponder. Highly-Intricate Checkout Process: It’s good that your website has convinced your users to buy your offered product/service. Once they click on the buy button and get stuck in between owing to complex checkout process, what will they do? In this case, they will abandon your site and move to your rival’s platform. Thus, it is important that your website has simple yet reliable checkout process which is free from all the technical gotchas. Non-engaging or low quality content: Your responsibility doesn’t get over with designing and website hosting. These are the basics that you cannot skip to start your online journey. You can’t overlook relevance of content. Content is the king and one of the biggest driving factors behind impressive page rankings. It is important that you put rich, engaging, and simple content on your website. Plus, don’t ever copy the content from anywhere and slap it on your website as it will have negative impact on your website. Responsive Web Design: Last but not the least, a website that is not mobile-friendly has lesser chances to deliver in today’s digital climate as a lot of people are using their smart-phones for transactions. If you website doesn’t open well on mobile devices, you can’t think making most of your business. A report by Goldman Sachs Group Inc. predicts that retail mobile commerce sales will increase 39.1% to $415 billion in 2016. Moreover, it will rise 24.4% to $516 billion in the year 2017, and reach approximately $626 billion in 2018. Don’t you think that having an online presence has become a mandate for all – right from mega-cap companies to small scale ventures? If you are looking out for any website hosting solution or have queries, feel free to connect. 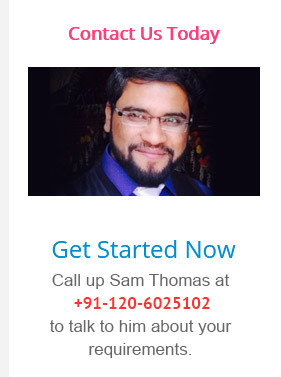 This entry was posted in SEO, Web Hosting Services and tagged SEO, web hosting, web hosting services, Website Hosting on April 2, 2016 by Taiba Fatima. If that’s the case, then it’s high time you had signed up for a good CDN service. 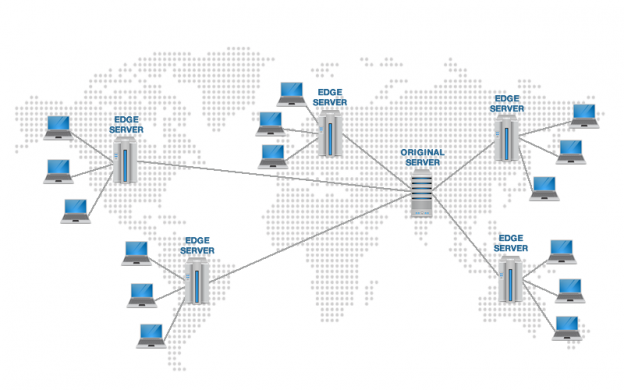 CDN is the short form for content delivery network. As we all know, WordPress is a popular CMS (Content Management System) platform. Bloggers across the globe publish their write-ups with the help of this handy tool. Both WordPress website owners and writers know that speed is really important when it comes to delivering a decent user experience. In order to do so, they generally make a few tweaks on the WordPress Website. These tweaks might as well effect their speed. But for a visible increase of your WordPress website’s speed, you need to get it optimized by a professional. Select and invest in a reliable web hosting and DNS (Domain Name Service) provider. Such a service provider helps to increase the website’s speed as well as boosts performance metrics. A right hosting package could be costly but in the long run, you end up paying for industry-grade services. As a result, you are saved from irksome issues such as recurrent downtimes, low quality servers, poor customer support etc. 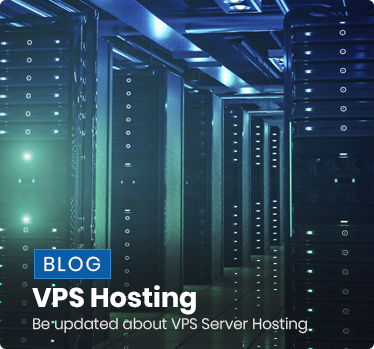 In case you own a high-traffic blog, switching to VPS hosting or Managed hosting services is advisable. 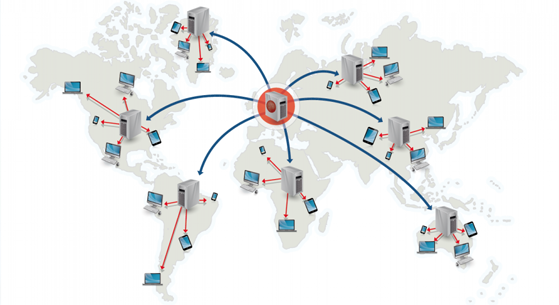 If you are looking for nothing short of blazing fast speed and a quick website response time, Content Delivery Network (CDN) is your answer. A Cloud CDN service will ensure that your website loads speedily irrespective of the user’s time-zone and geographical coordinates. WordPress itself offers some speed optimization tweaks on its dashboard. So you can create smart plug-ins in just a few clicks. Ensure that the images that you upload are light weight and optimized. Check the performance of your WordPress theme. Try to go with a simple theme for your website. Limit your HTTP request numbers to obtain website files of smaller sizes. Thus, by sticking to the above steps, and by carefully selecting a legitimate Cloud CDN service, you can boost your WordPress website’s performance. This entry was posted in Web Hosting Services and tagged cloud CDN, web hosting, web hosting services on September 26, 2014 by Geetanjali Mukherjee. How to Save Your Blog from a Bad Web Hosting? It hardly matters how much knowledge you have about web hosting or how much you do research before purchasing the right web hosting. Chances are there that you may end up selecting the wrong web hosting provider and wrong web hosting. Sometimes it happens that once you hired the hosting service, then you get to know about the bad management or their degraded services. Thus, do you think that a perfect web hosting is a myth? This blog discusses some of the easy ways to save your website from your hired web hosting provider and switch into other compatible web hosting plan. The question arises that how can you do that. WordPress is a CMS that is supported and used by all the web hosting providers. The migration of a WordPress blog in a website is easier and you can do it on your own. Some steps to follow while you switch your WordPress blog in a website. First, you should take up the backup of all documents of the existing site which include; Theme files, Uploads, Plugins, Database and more. Next, you should copy the database to the new site. It depends upon you whether you do this manually or you use a program like phpMyAdmin to import it into the new site. Have a look into these steps how you can get started with a new WordPress blog site. Be sure that everything is working fine and nothing is missing. WordPress is one of the CMS which have export/import tool built in. You should try these tools instead of doing manually. But, you should copy your upload manually for safety measures. You need to be sure that you have downloaded the latest version of WordPress. It may cause error when you are shifting your database from one version of WordPress. Thus, you should feel free to take all the technical assistance. Finally, a bad quality web hosting can be a nightmare, but one should not be bothered about that. All you need to do is to find another quality web hosting and move your blog as soon as possible. This entry was posted in Hosting, Web Hosting Services and tagged web hosting, web hosting India, web hosting services on September 15, 2014 by Arijit Mukherjee.